Oh Myth! Kanchana has the same combo posted too and she uses 1 cup of Tamarind in the Gojju!!WOW!! hey Mythe, vai urudu pa! romba nalla combi! BTW I have the same kind of plate with me in India. Gojju ???? I must try this. I think it will go well with dosa and idli too. Today only we had ven.pongal +chutney...Your looks gr8.I looked burfi alot pa.
wow Mythreyee, the pongal and gojju combination looks super delicious. Asha: Usually, Chutney is served with Venpongal in Restaurants. 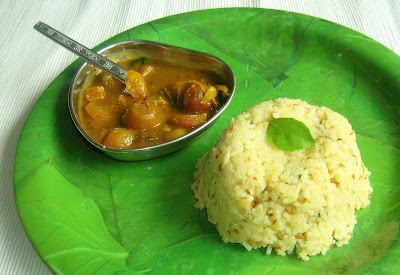 At home, we serve in this Gojju Pongal Combo or Pongal with chutney. Ayesha: Yes, its very filling. 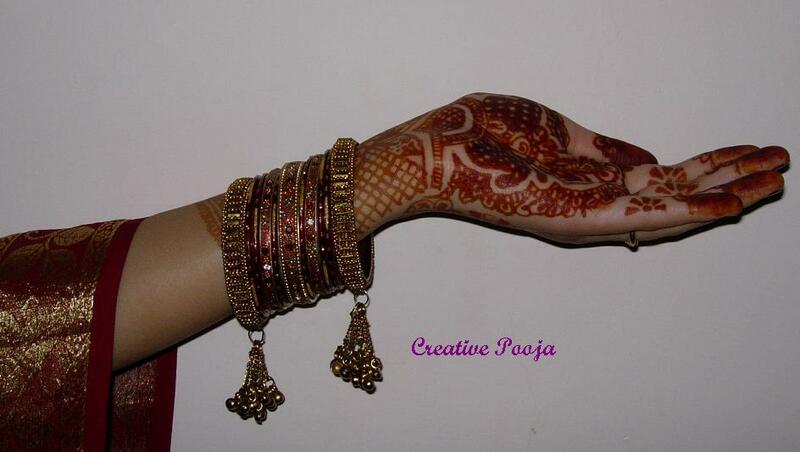 Sharmi: I got it from India too. Its great for tiffins. Deepa: Sure, give it a try and you will love it. Linda: Thanks and happy you liked it. Nature and Me: Yes. It will go really well with Dosa. Mandira: It tastes superb too. Try it. My DH is crazy abt pongal, we usually make tomato gojju with it, this one is new to me, never tasted it b4, will give it a try.